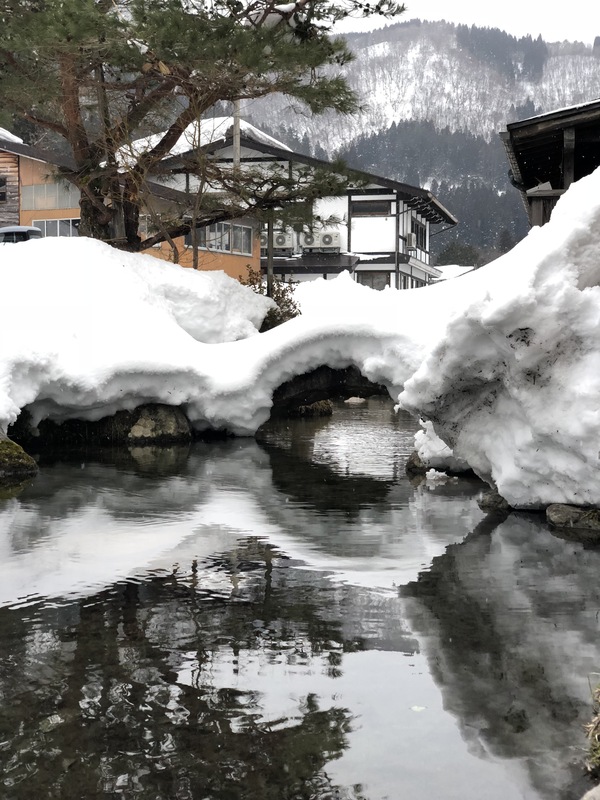 Good to know: There is a lot of snow in Shirakawa-go in January and February so please bring a pair of boots. Shirakawa-go can get up to 2 meters (over 6 feet) of snow in February. Because of the snow we suggest you to bring light luggage. 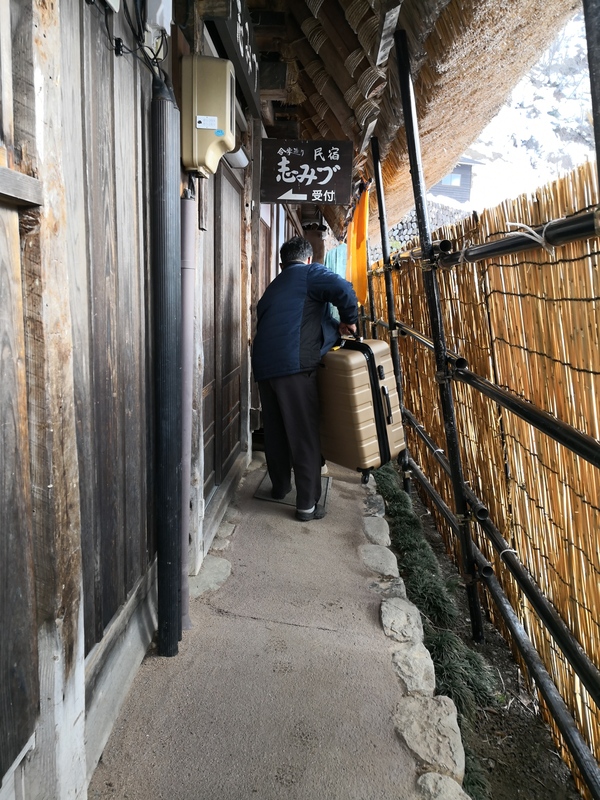 Like most Farmhouses, Shirakawago-Shimizu is a small family business, so please forgive them if sometimes they do not accept that you leave your luggage after check-out. At the staff usually does not speak very much (it's part of their personality). Mr Shimizu handled our luggage & showed us to our room upon reaching his house. The house is on the quieter side (which we loved) of the village. You can hear the birds chirping in the morning! Wake up early to experience this! Mrs Shimizu speaks very good English. Our meals were prepared & served on time. Nothing fancy, just right. Just like mom's cooking. Mrs Shimizu even checked with us if we have special dietary restrictions. The miso on rice is yummy! Our room was cosy & warm. 3 of us slept on Tatami mat. Room was spacious, enough for the 3 of us. I am especially impressed by the clean shower area though one may feel abit cold in the winter after a bath. We slept soundly through the night with the heater on. Overall, we love our experience at Shimizu. The only regret is we forgot to take photos with our wonderful hosts. An amazing 210 year old architecture with vintage fittings *an eye opener* - very cosy, comfortable and clean rooms and toilets. Great hosts who were very polite, helpful and patient. The lady host actually stayed inside the kitchen after dinner until sleeping time so as to show us how to lay down the futon and comforter. The hosts were very nice and helpful to offer us a ride for our ‘huge luggages’ to the bus station while we slowly grace our way there, enjoying our last few moments of the village. Great food - dinner and breakfast were a surprise, professionally done and displayed and very yummy too! It’s not difficult to find our way to the Ryokan although it’s near the end of the village. Would highly recommend whoever visiting Shirakawago to stay here for a night. Shimizu is situated on the far end of Shirakawa-go village. It would have been a nice pleasant and scenic walk if it wasn't for the rain. Dinner and breakfast provided was phenomenonal. The host gave us coupons for the historic museum. They have coupons for Onsen as well, but we opt out of that because of the rain (you had to walk to the other side of the village for the Onsen). The hosts didn't speak much English, but did give us advice of places to go and photo spots. Overall it was a very pleasant stay, and Shirakawago is definitely a place to visit in Japan. 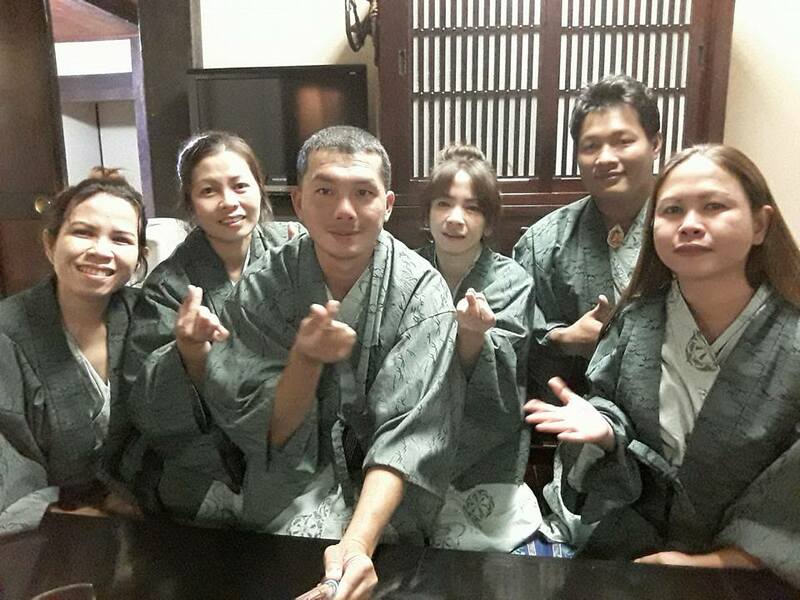 This was the first place we visited for this trip and we were amazed by the place, the surroundings and the ryokan that stayed in. The place is clean and accommodating persons who welcomed us when we first arrive. The food that they serve is superb and I think I will still return to this place. I might visit this place again in February but no reservation for ryokans for that month so I will just look at this beautiful place but definitely I will be back. The weather is already cold even in mid November. It was wonderful to visit Shirakawa-go overnight. Though it was raining whole day, we had a wonderful experience in the village. The hosts are very nice, food was wonderful- both- breakfast and dinner. After some negotiations 4 out of 8 people in the group were able to have beautiful vegetarian meals. The hosts drove our luggage to the bus stop to save us walking in the rain to the station. Thank you very much, We can recommend your place to others. 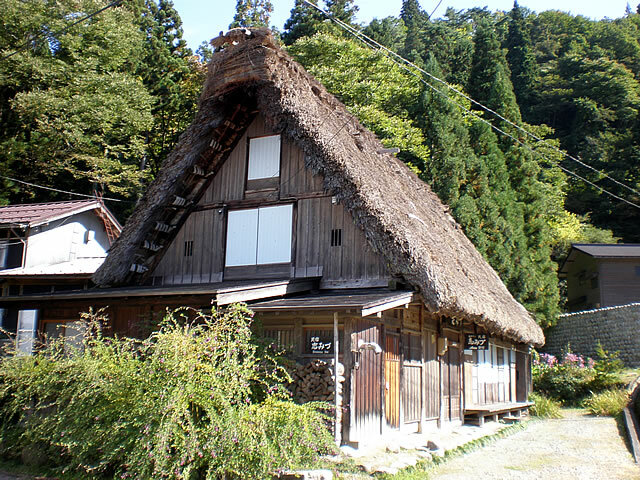 Of course, many tourists visit Shirakawa and they all want to stay in the largest farm houses in the centre of the village. Shimizu is on the very edge of the village, woods, and rice fields. And it's beautiful, comfortable, clean, delicious, friendly, cosy, fresh, English spoken, well informed, and tranquil - just a magic break on any journey. A must for those who prefer to avoid the beaten track. Our stay at Shimizu Inn at Shirakawago was a wonderfully memorable part of our 2 week stay in Japan. It's the exact opposite of Tokyo. The serenity, the quietness except for the croaking of the frogs from the rice paddies in the evening (when all the day tourists have gone home), the natural beauty all speak for themselves in this place. Use the onsen near the bus station for 500 yen (discounted price for staying at the Shimizu Inn) per person. The food was first class for both dinner and breakfast. Loved our stay at Shimizu Inn!!! We had a very pleasant and warm stay at Shimizu Shirakawa-go. Room clean with warmer carpet makes our night stay warm. Food is awesome and delicious. We had a warm welcome by Shimizu san and family on our check-in day. Throughout the stay, all our needs are very well properly arranged. Thank you for the warm hospitality and hope to go back again someday in future. Shirakawago-Shimizu is wonderful and amazing, the hosts is nice and helpful. If I have a chance will be back again. Food is very nice Dinner & Breakfast. 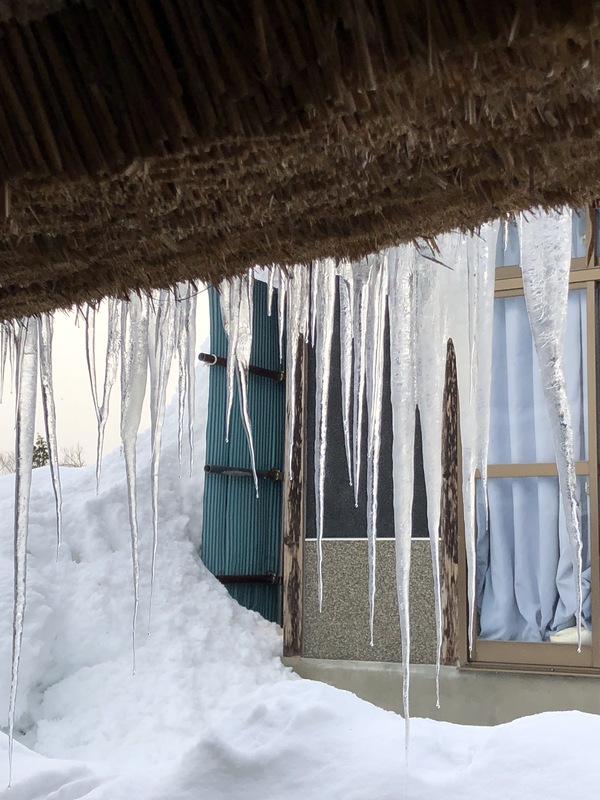 Seeing Shirakawa-go under a blanket of white snow is truly a magical sight. A fairytale village that can be explored by foot and taking photos of the scenery and appreciate the village\'s beauty. Staying one night at the ryokan (Shimizu Inn) is a great experience indeed - You will enjoy a peaceful time in the slow paced atmosphere that is detached from busy cities, home-style cuisine (breakfast and dinner) that is prepared with lots of home grown vegetables and to sleep on the thick comfy futon on the tatami floor. Shimizu Inn is located end of the village from viewpoint (walk about 15-20mins) but I love it because of the magnificent view and the quaintness. 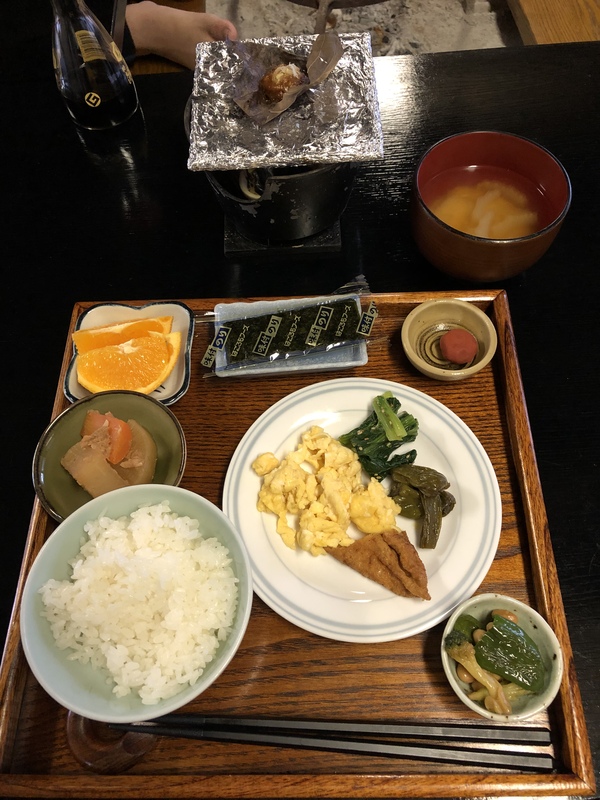 I would highly recommend Shimizu Inn for their hospitality, comfort and location. It's a little further out from the rest of the guesthouses but the up side is that the surrounding area is super peaceful and quiet. The heated carpet beneath the bed was a nice touch and we felt warm and toasty despite it being sub zero outside. The meals were amazing and you can easily eat more than what you usually do. Very homely and delicious! Location is great, really quiet. Owners were lovely, kind and very helpful. Meals were delicious..... Will definitely stay at Shimizu again if we visited Shirakawago. Comfort and the best homecook meals! 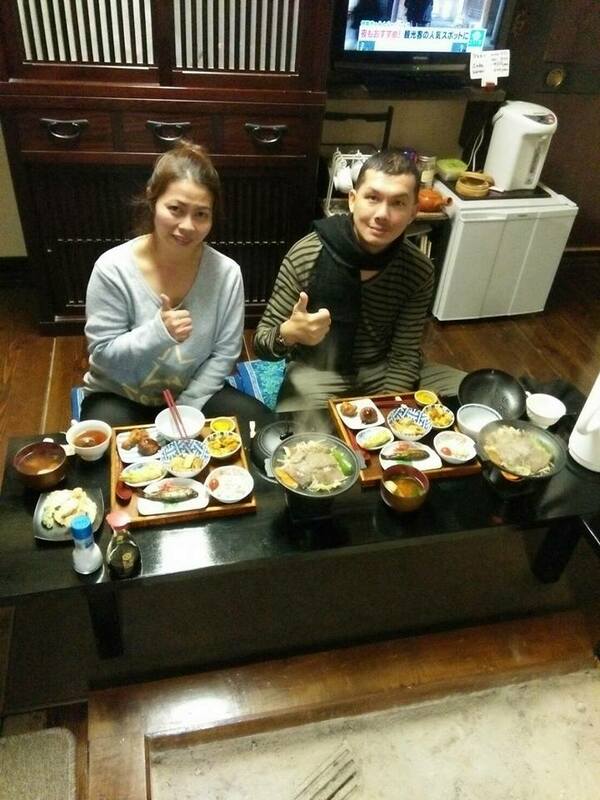 Even the temperature drop drastically from Nagoya to Shirakawago, the welcome from owner warmth our heart. 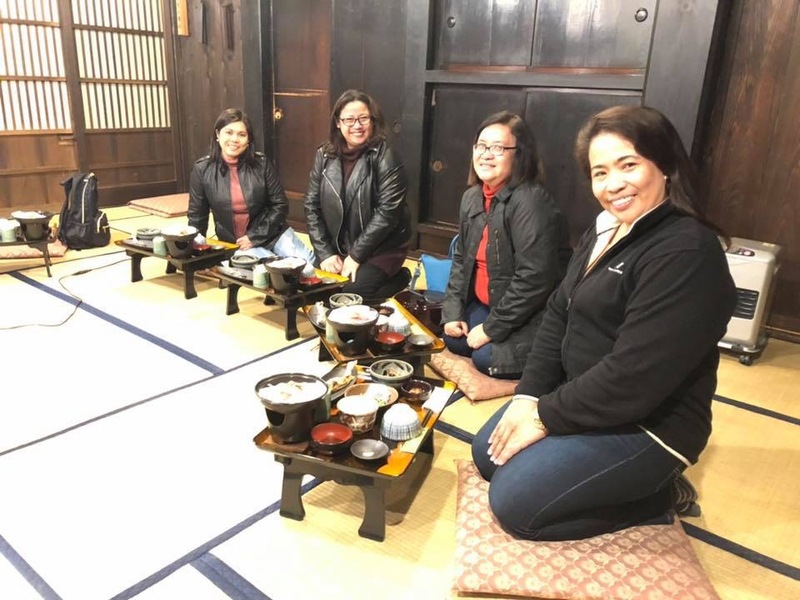 This was the first for us to experience japanese tatami style bedding and dining around the traditional place. The heater was an old fire place with high chimney, using blocks of woods and coal. Wonderful experience and definitely will visit again. Shimizu is the best n Shirakawago! Very nice quiet location which offer peaceful stay. The host is extremely nice and polite, well spoken in english and communications is easy. The host even offer some tips on the nice spot for photograph and provide us a map of the village. The food is delicious! Thanks to Shimizu host to provide such a great service! Appreciated! Me and my travel friends was so excited when we arrived its really what we are looking for really traditional style , little bit difficult to found the house since the house covered with another house, so you have to look carefully the maps, but the experience was so amazing, we felt regret to stay only for 1 night. Definitely will come back another time. Many thanks for having us specially for お祖父さん "ojiisan" and お祖母さん "obaasan" who prepare our meals. Thanks you so much to Shimizu Inn for a wonderful stay in Shirakawago. Our room was very comfortable and clean as was the bathroom. Our host greeted us when we arrived and gave us tips and directions for what to see in the village as well as a ticket for discounted entry into the Gassho house museum. Last but not least both the evening meal and breakfast was very generous and delicious! Firstly, can I just propose that people who find guestrooms smelly are in fact not used to traditional tatami Mats , which are made of read which has a specific odour. I actually find the smell invigorating and nostalgic. Also the price per person is value for money in my opinion. You get overnight board and two meals – Delicious meals. We picked shimuzu to be away from the hordes of tourists. It was close enough to wander through the streets but far enough away to feel the tranquility of the Japanese countryside. Jackie and her father were the consummate hosts and made our stay very pleasant indeed. It was nice to meet fellow travellers and share I kneel with them. 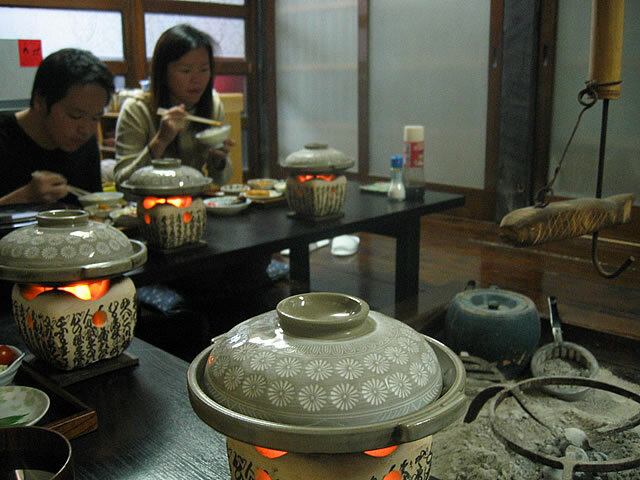 The house is a typical Japanese B&B with shared dining and bathroom facilities. But it is always a treat to leave as rule Japanese people do and part of an awesome Japanese experience. The location is beautiful, the host is really attentive and kind and the house is a traditional farm as expected. Downside is really bad smell of the room, like very old and humid tatami. I recommend the experience but looks like too expensive for me. 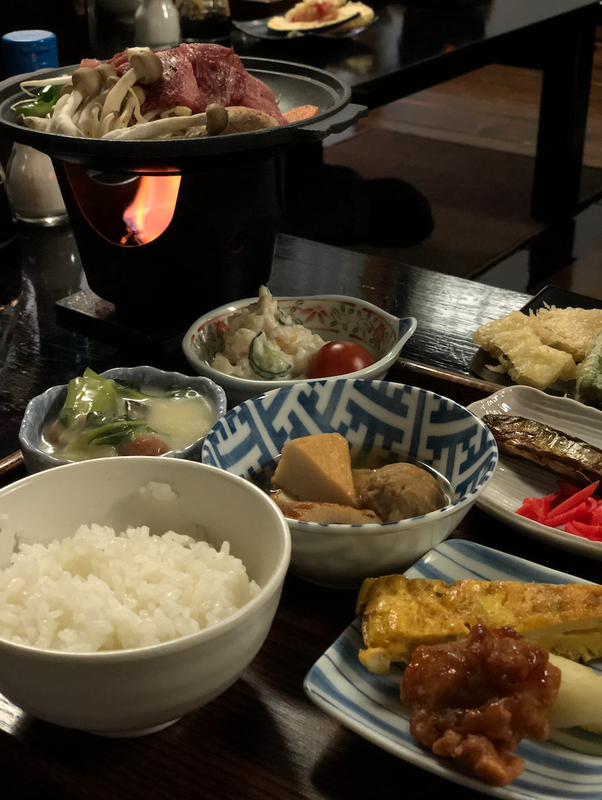 My friend and I spent a night in Shimizu during our stay in Shirakawago. The ryokan is located about a 10 minute walk from the bus station. At the bus station, maps are provided with the ryokans marked on them, so it was easy to find the ryokan. The staff was really helpful and nice, they could speak English. They also gave us a discount ticket for one of the onsen in the village. The room was cosy and great size for two people. Dinner and breakfast were delicious, we loved the meat and there was plenty of food. We ate in the living room with another family. Towels and yukatas were provided in our rooms. There were two showers and two toilets in the house. The town was so quiet at night, we had a good rest! 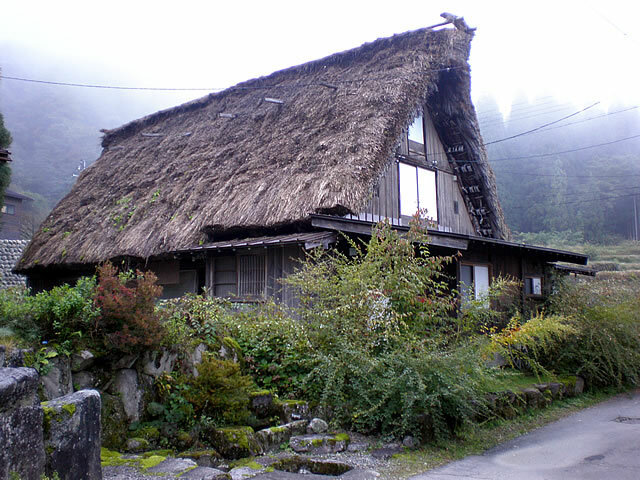 We did have a really nice stay and would go back again if we visited Shirakawago! Siamo stati durante il nostro viaggio di nozze e ci siamo davvero trovati bene. Si trova alla fine del villaggio e rimane molto tranquillo e riservato. Accoglienza calorosa e buon cibo. Shimizu-inn is one of the beautiful places in Shirakawa-go. The owner is very friendly and helpful. My friend dropped his wallet and the owner managed to help us find it back. Definitely will be back in winter. Shimizu is a quaint, small ryokan with lovely hospitality. The scenery is just stunning. The food was good too! My elderly parents struggled with sitting the floor though. The owner was actually born in the house which we thought was amazing! We did yoga the next morning whilst looking at the snow topped mountains! Just perfect!! Thank you! Great for ryokan. 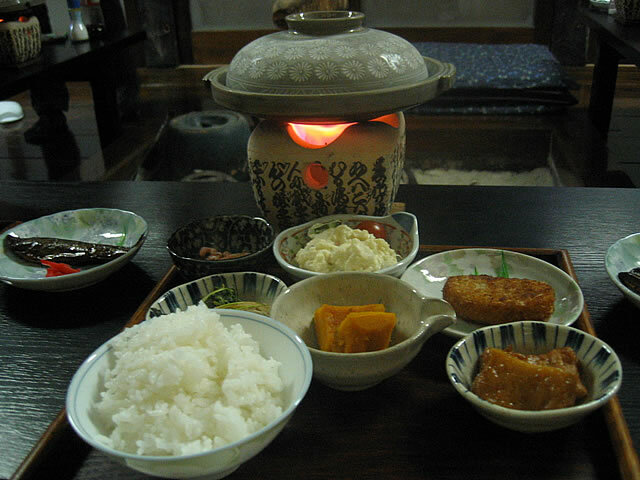 I like meal in shimizu ryokan. Shimizu Inn is a great place to stay if guests prefer quiet yet easy accessibility to other part of Shirakawago attractions and places. 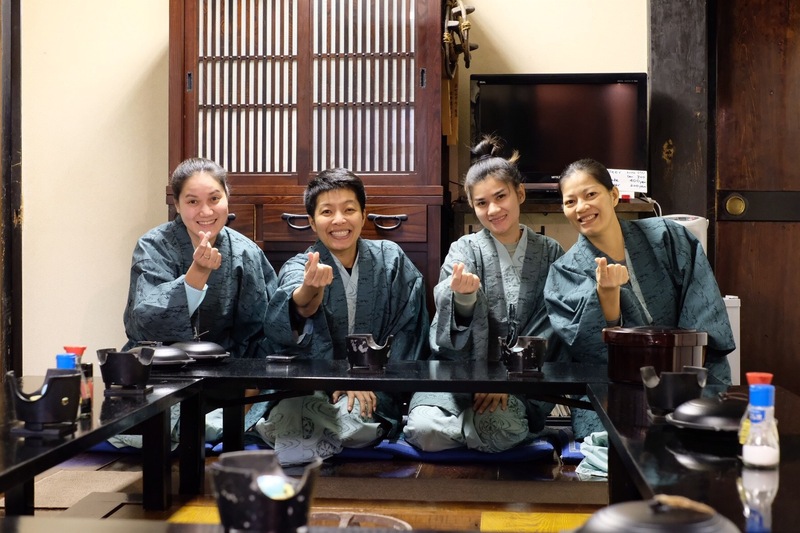 Best experience ever, with warm hospitality from the lovely owners, not to mention the delicious dinner and breakfast personally prepared by Mrs Shimizu. The inn was amazing, overlooking the snow-capped mountains and a big field. Will definitely stay there again if going back to Shirakawa-go. We had a lovely stay here. 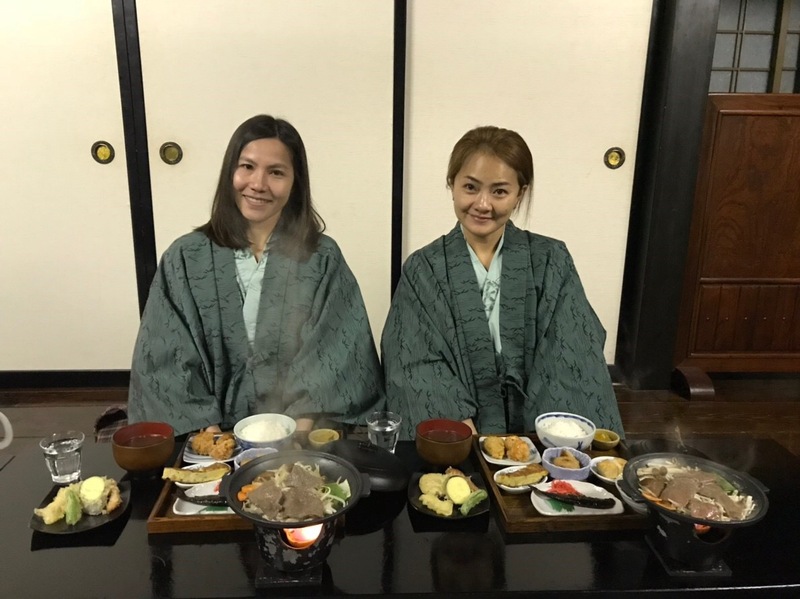 This ryokan is located on the edge of the village, away from the day-time tourist crowds and closer to the fields which we liked. Hosts were kind and accommodating. We had great meals here and liked that our meals were taken in the dining room with the other guests instead of in our rooms. Our room had the best view of the three - a little stream and garden just outside. Shirakawa-go was the highlight of our trip. It is a place too beautiful to describe. Shimizu Inn was the perfect place for staying. The hosts were kind and helpful, the meals were delicious and we got to meet other travellers! Tip: if you're staying here, consider coming with a light bag so you don't have to drag it around (like we did). 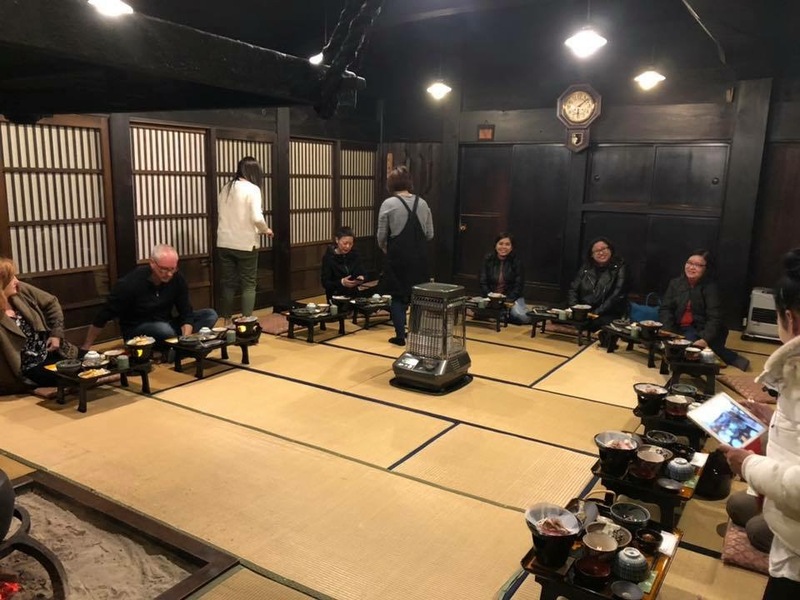 Eight of us, (my husband and I and six other colleagues teaching in the same school) changed plans to stop at Shirakawa - go during our recent trip to Japan. I managed to get the whole house of 3 rooms for the 8 of us. The host is very nice and friendly and prepared a very nice dinner and breakfast for us. The husband and wife even helped us to send our luggage to the bust stop while we went around to enjoy the beautiful scenery. 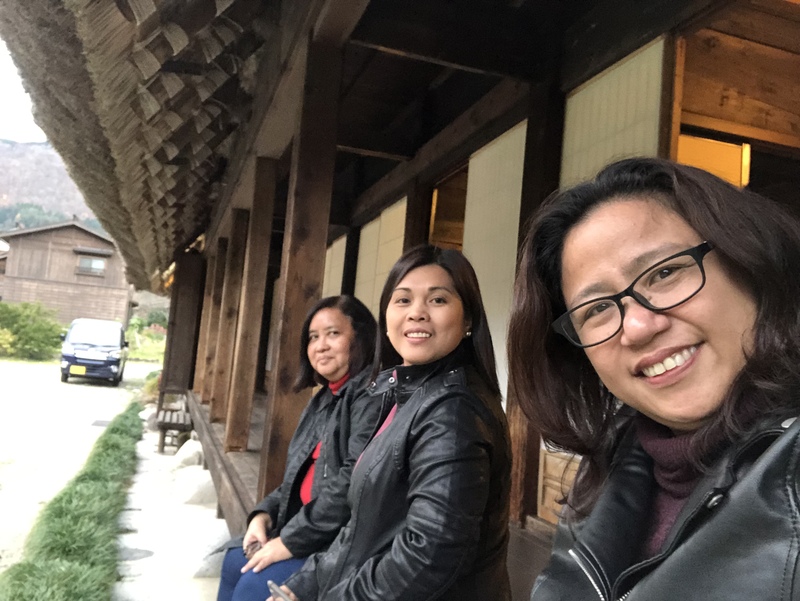 Shirakawa-go is really a beautiful place and all of us wished to go back one day.. The food was good. The host was kind. This particular inn is a little bit off the main road which was great as you wouldn't get strolling tourists coming by your window. The main door also opens out into the view of the nearby hills. 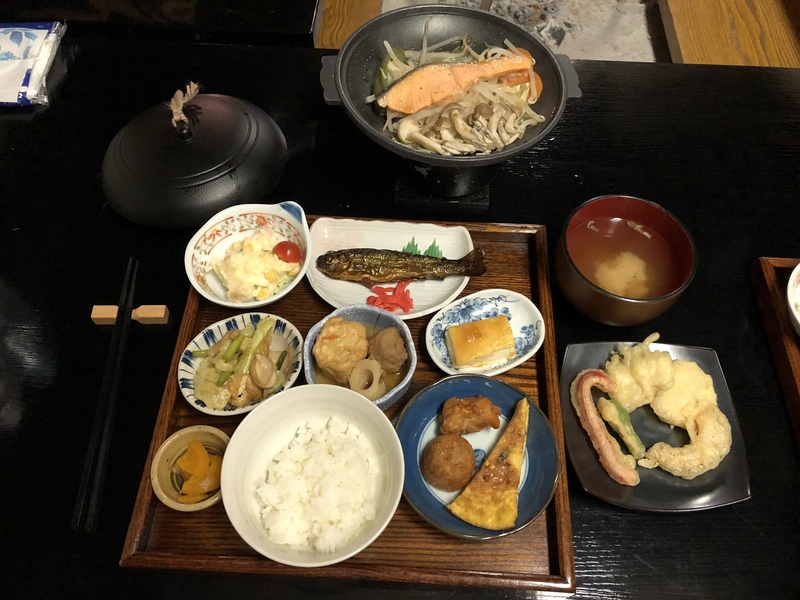 Ryokan Shimizu is incredibly well-kept, with charming traditional interiors, a magnificent view and wonderful food lovingly prepared by the gracious hosts. 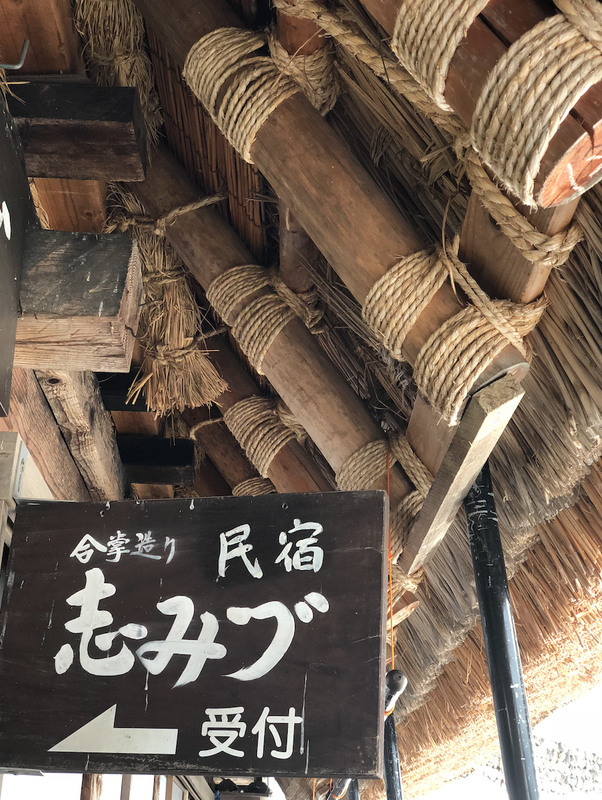 You can ask for a walking map, and may even get discounts for some of the facilities around Shirakawa-go, including the exceptional public bath and village museum. We just missed the local festival by a day, but we'll definitely be back for the winter light-up one of these days. Highly recommended. Prefer quiet and beautiful place, Shimizu is the answer! We all loved it; Quiet, beautiful scenes, lovely host and very nice and big meal! Its location is great as it's on a slightly higher ground, away from the village centre yet not too far to walk. Behind is the owner's farm, beyond the farm is the mountains. Awesome view. The food is authentic & yummy. Some of the ingredients are fresh from the owner's farm! Gassho Ryokan with modern toilet & shower. Best of both world! Although it was quite disappointing that it was raining on both the day we arrived and the day we left, our stay at Shirakawago-Shimizu kinda made up for it. Although it's quite small, it's quaint and cosy. The female host can speak pretty good English and recommended us to visit the hotspring in the village since there wasn't really anything for us to do after dinner on the night we arrived since it was raining really heavily. Dinner was simple but delicious. Loved the hida beef. My mum struggled with sitting on the floor though so bear in mind this if you are travelling with the elderly. Overall, do not expect anything luxurious. 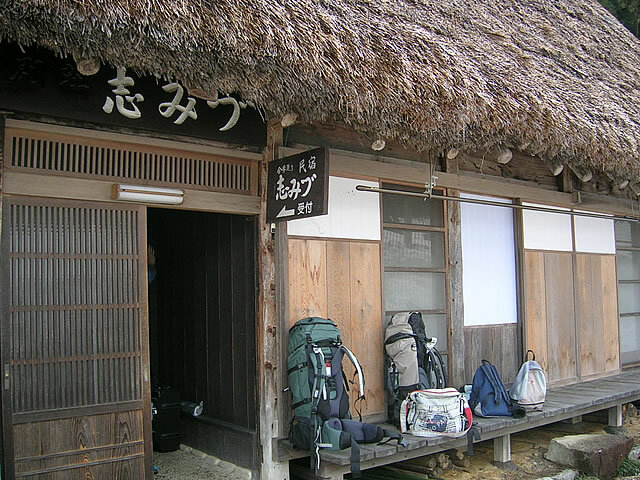 Be prepared for simple but delicious home cooked food, traditional Japanese sleeping style and gorgeous scenery. Not bad at all for my first ryokan experience. Arrived on the day of the first snowfall of the year - cold, but tolerable. Was not disappointed with the traditional tatami room and hearth. Heard that the house was 200 plus years old, was pleasantly surprised at the modern toilet and bathroom. Dinner was excellent - delicious, expertly prepared, lots of variety (Hida beef is to die for.) I wasn't too impressed with the breakfast though, but all the same it was simple and filling. (Or maybe I just wanted more Hida beef.) We were lucky that our fellow guests were truly excellent people - generous and kind, like we've known each other for much longer. Mr. Shimizu, our host, was a bit shy, but he gave us excellent tips on which areas of Shimizu were recommended, plus I loved his food. Mrs. Shimizu spoke more English so she was more outspoken. Can't say anything bad about the place. Would love to come back when everything is blanketed with snow. Shirakawa-go shimizu was wonderful, cosy and atmospheric. The man at Shimizu was extremely friendly and helpful and tried his best to help us even though his english was limited, as his wife who normally handled the english speaking was away. He went out of his way to help us, explaining how to get to the lookout, where to catch buses from and offering to take out bags to the bus stop so we didn't have to carry them. The room was quite warm, even though it was minus temperatures outside. There is a heated rug as well as a gas heater on a 3 hour timer and plenty of spare blankets. The house itself is small with only 3 guest rooms, and you eat dinner with the other guests, which was a nice experience. The food was simple but delicious, especially the hida beef. 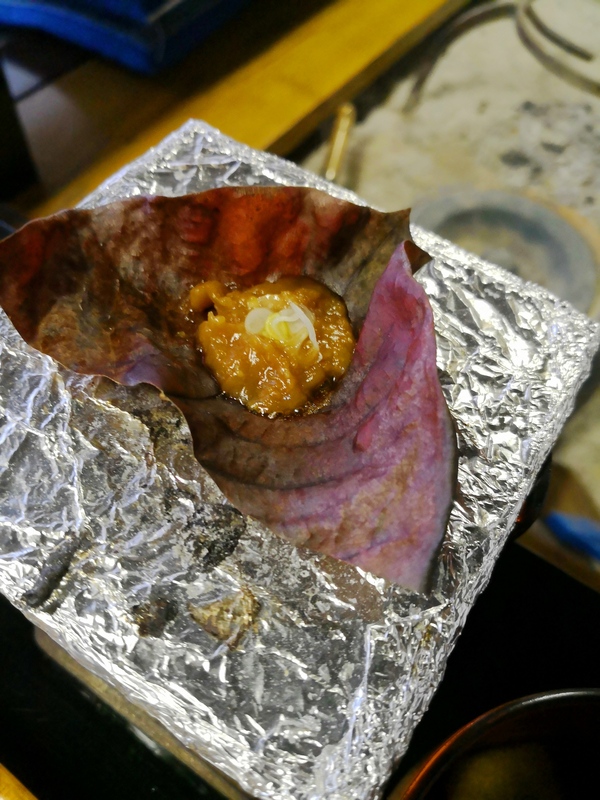 We particularly enjoyed the western breakfast, for those who aren't used to Japanese food. Overall it was a wonderful stay. We will definately stay here again. It was sub-zero temperature when we arrived at Shirakawa-go. But the sun was shining, which wasn't a good thing, because that turned the ground icy and lethally slippery. Shimizu Inn is a fair distance from where the bus dropped us - you have to cross the suspension bridge, turn left at the town centre and walk a couple of hundred metres. During any other time, that would not be a problem, but on that slippery ground, the walk took ages, especially when dragging some luggage as well. But once there, it was "uphill" all the way. The innkeeper's husband noticed me struggling and offered me snow boots to make it easier to walk. After an afternoon exploring the town, a sumptiously delicious dinner was waiting for us. The lady innkeeper is quiet and reserved, but speaks English to explain the basics to us. On a cold winter's night in Shirakawa-go, there isn't much to do. And these inns are not anything like the ryokans which offer nice hot baths to soak in. Here, there is just a (very) cold modern shower. And it's shared between 3 rooms. However, the lady was extremely nice to ask her daughter to drive us up to the Observation Deck to have a panoramic view of the Unesco listed heritage site from the hill. The annual light-up was not on yet, and the snow was falling amidst freezing temperatues, but it was such an amazing sight, we ALMOST forget about the cold (but not quite...) In the cold surroundings, it was wonderfully warm to see that the innkeeper and family do their best to make our stay a memorable one. It was a very short stay, but it still felt like very much like home.